If you find yourself near any of these The Range stores this weekend then pop by and see our lovely demonstrators showcasing our fabulous new craft collections. 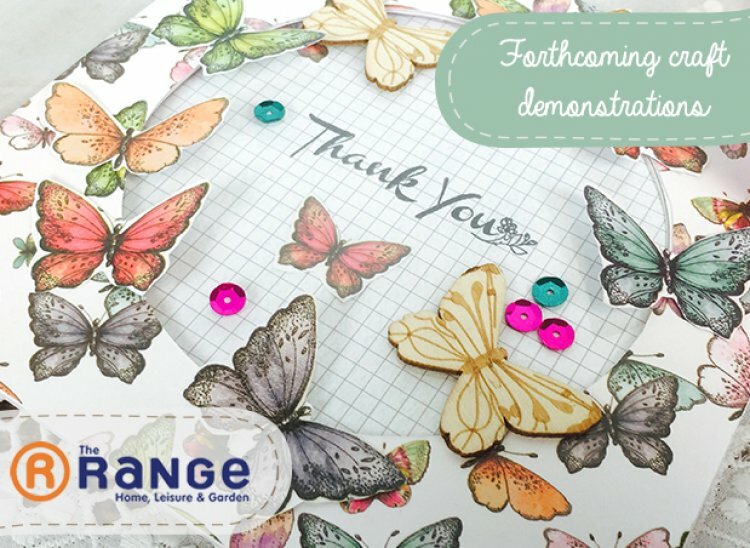 Our crafty demonstrators are here to help you with your craft inspiration and answer any questions you have . We hope to see you there! Next week’s demonstrations are in Maidstone, Ipswich, Stoke on Trent and Bolton, check back soon for store details.